Welcome to Meet the Teacher – CodeMonkey’s blog segment where teachers from all over the world share their experiences on what it’s like being an educator. 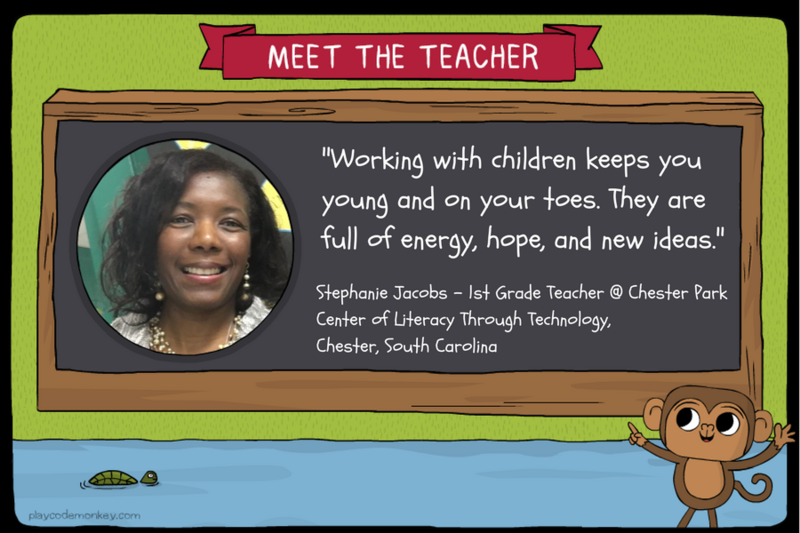 Today’s post features Stephanie Jacobs who is a 1st Grade Teacher at at Chester Park Center of Literacy Through Technology in Chester, SC. 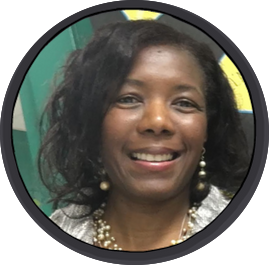 “The Teacher Cadet program in my high school was where I was inspired to become a teacher. I can remember our teacher, Mrs. Walters, asking our class the question, “Who would you want teaching your children?” She went on to say, “You are the best and the brightest and that is who we need teaching our children.” I took at that as a personal call to action. Later, she put me in contact with a former student who was attending Winthrop University in the Teacher Education program. We became pen pals and the rest is history! I am a connected educator. I would highly encourage any educator to build their Professional Learning Network (PLN) as a connected educator. I participate in weekly Twitter chats and have had the chance to host as well. I have gained great ideas, resources, and connections from the members of my PLN. As a result, I have opportunities to present at conferences, collaborate on blogs, and bring amazing ideas to life in my school/classroom. Working with children keeps you young and on your toes. They are full of energy, hope, and new ideas. That combination can be contagious. As an educator, it makes you more invested in the educational process and making sure that all students have access to a (high) quality education. On a personal note, working with students has also influenced in me the “Power of Yet” in reaching my own goals. When I come up against disappointments in life, I can remind myself that it may just not be my time and I should never give up hope. It’s important to me that my students set goals and reach them. I am truly a goal-oriented person and I have been taught to believe that you can do whatever you set your mind to if you are willing to put in the work. I want to instill that same belief in my students.